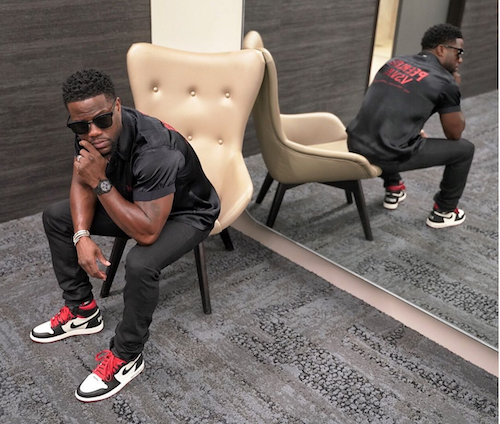 About a day ago, Kevin Hart's dream to host the Oscars had finally come true. And it lasted all of 36 hours. Folks didn't forget that back in 2009 (and beyond), he said some pretty messed up things that can certainly be seen as homophobia and insulting toward the LGBT community. And the tweets and comments on the Academy's social media pages were coming in HOT. @benfraserlee GIF’d it, I just took the screenshots. Then, he'd had enough. Apparently the Academy caught wind of all the hoopla going on and asked him to just apologize. He said Nah. And withdrew as he host late Thursday evening. Similar to his "explanation" after that cheating scandal he got caught red handed in thanks to a mirror and a hidden camera, he seemed to blame everybody else. He called out "trolls" for not dropping the subject and just letting him live. Almost immediately after saying he withdrew from the gig because he didn't want to "apologize again" at the request of the Academy, he went and did just that on Twitter. Not sure what the purpose of all the theatrics were if you were just going to say exactly what you said you didn't want to say. He could have just apologized/re-explained again (despite folks saying they don't ever recall him doing so the first time, at least not fully), and then carried he hell on with hosting. But when pride and ego get in the way after a social media lashing, you get someone quitting the job of a lifetime. Well, at least he has the huge crowd in Melbourne he performed for Thursday night to cushion the fall. And he's still on his multi-million dollar Irresponsible Tour.